William Taylor was born around 1894 in Sunny Brow, the son of Thomas and Isabella Taylor. In 1901 the family lived at 14 Helmington Row. William’s father, who was born at Coxhoe, was aged 56 at the time and worked as a railway engine driver; Isabella was aged 56. The 1911 census records that William, aged 16, worked as a miner with the job of driving the ponies. It also records two younger brothers, Thomas and Henry Dion. William married Elizabeth Jane and they later lived at 35 High Street, Brandon Colliery. He joined the Durham Light Infantry (DLI) on 23 September, 1914, as a private (number 18/625) with the 18th Battalion. On several occasions he was disciplined for absence from tattoo in several bases in England, including Cocken Hall, Ripon and Richmond. He was also admitted to hospital with scabies in November and December 1915, spending two weeks there in total. 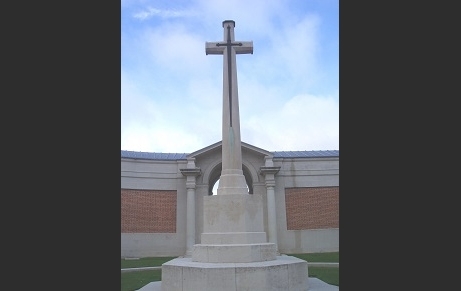 William was killed on 3 May 1917 and is commemorated on Bay 8 of Arras Memorial. He was awarded the War Medal and Victory Medal. A pension of 22/11 awarded to his widow in 1918.